Many people are cheered by a bright, sunny day, but the effect of all that sunlight on the eyes is a less sunny proposition. UV and glare can create a variety of issues, from dangerous "snowblindness" to irreversible disorders that threaten your eyesight. Here are some frequently asked questions about the role of sunglasses in protecting the eyes from harm.  If you want to know more about choosing the right sunglasses, call Clarksdale Vision Center at (662) 627-2020 today. What are UV rays? UV stands for ultraviolet, a band of spectrum invisible to the eye. Ultraviolet light consists of UVA, UVB, and UVC rays. UVC rays are stopped in Earth's atmosphere before they reach the eye, but UVA and UVB can both reach the eye and potentially damage it. How does UV affect unprotected eyes? UV rays can cause proteins inside the lens to become opaque or cloudy, a condition known as cataracts. Cataracts can make interfere with night vision, reduce your ability to see colors, and make reading difficult; they cannot be reversed, only removed. UV exposure can also cause retinal damage, changes in the eye tissues, and a temporary but irritating "sunburn" of the cornea called photokeratitis. How do I know my glasses will protect my eyes? Choose glasses that claim to block at least 99 percent of UV rays -- UVA as well as UVB. Look for label reading "UV 400," since this designation means that the glasses block UV rays as small as 400 nanometers, providing 100 percent eye protection. Of course you need to protect your eyes from the glare caused by the visible spectrum as well. To accomplish this, select products that block 75 to 90 percent of visible light. What are polarized lenses? Polarized lenses are specially designed to filter out certain types of glare that tend to radiate upward from horizontal surfaces when sunlight bounces off of these surfaces. They are recommended for tasks such as boating, fishing, skiing, golfing, tennis, jogging, and driving. Most polarized lenses will bear a label identifying them as such. What types of glasses can I choose from? We are able to provide you with a wide range of sunglass options. If you normally wear glasses to correct your eyesight, you may be happy with a non-prescription pair of clip-ons or wraparound glasses that simply fit over your lenses. If you'd rather not wear that much equipment on your head all at once, you can order a pair of prescription sunglasses, or you can order glasses that darken when exposed to bright light. What additional types of protection should I consider? If you worry about light, including harmful UV, leaking in through the sides or top of your sunglasses, wear a broad-brimmed hat to reduce some of this exposure. If you use prescription eyewear to correct your eyesight, you may also want to think about getting a pair of UV-blocking contact lenses in your prescription. These lenses may be worn alongside a non-prescription pair of sunglasses for optimum eye protection. For more information on choosing the right sunglasses, contact our office today. In case of emergency, please phone our office at the number listed above and follow the instructions.